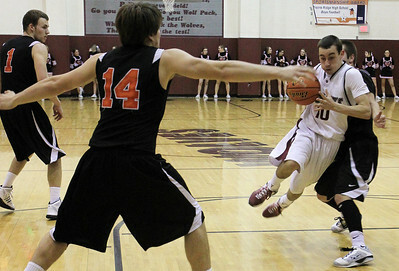 Prairie Ridge played Crystal Lake Central during Wednesday's game in Crystal Lake on December 5, 2012. 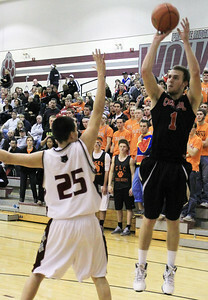 Crystal Lake Central defeated Prairie Ridge, 74-67. Sarah Nader - snader@shawmedia.com Prairie Ridge's Jay DeLage takes a shot during the first quarter of Wednesday's game against Crystal Lake Central in Crystal Lake on December 5, 2012. 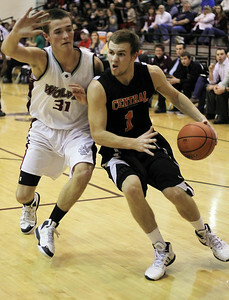 Crystal Lake Central defeated Prairie Ridge, 74-67. Sarah Nader - snader@shawmedia.com Prairie Ridge cheerleaders cheer on the boys basketball team during their game against Crystal Lake Central on Wednesday, December 5, 2012. Sarah Nader - snader@shawmedia.com Crystal Lake Central's Corban Murphy takes a shot during the first quarter of Wednesday's game against Prairie Ridge in Crystal Lake on December 5, 2012. Crystal Lake Central defeated Prairie Ridge, 74-67. Sarah Nader - snader@shawmedia.com Prairie Ridge's Jack Berg (left) guards Crystal Lake Central's Kyle Fleck during the fourth quarter of Wednesday's game in Crystal Lake on December 5, 2012. Crystal Lake Central defeated Prairie Ridge, 74-67. Sarah Nader - snader@shawmedia.com Prairie Ridge's Jay DeLage (right) brings the ball down court during the second quarter of Wednesday's game against Crystal Lake Cental on December 5, 2012. 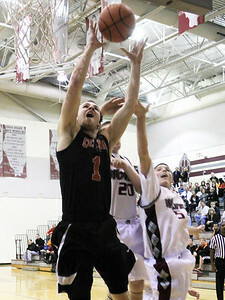 Crystal Lake Central defeated Prairie Ridge, 74-67. Sarah Nader - snader@shawmedia.com Crystal Lake Central's Brad Knoeppel (center) brings the ball down court during the second quarter of Wednesday's against Prairie Ridge game in Crystal Lake on December 5, 2012. 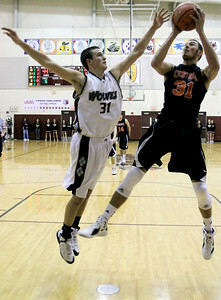 Crystal Lake Central defeated Prairie Ridge, 74-67. 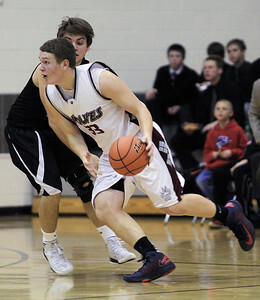 Sarah Nader - snader@shawmedia.com Prairie Ridge's Josh Behning tries to find an open clearing during the third quarter of Wednesday's game against Crystal Lake Central in Crystal Lake on December 5, 2012. Crystal Lake Central defeated Prairie Ridge, 74-67. Sarah Nader - snader@shawmedia.com Prairie Ridge's Ryan Gilbert (left) guards Crystal Lake Central's Corban Murphy during the third quarter of Wednesday's game in Crystal Lake on December 5, 2012. Crystal Lake Central defeated Prairie Ridge, 74-67. Sarah Nader - snader@shawmedia.com Prairie Ridge's Jack Berg (left) guards Crystal Lake Central's Corban Murphy during the first quarter of Wednesday's game in Crystal Lake on December 5, 2012. Crystal Lake Central defeated Prairie Ridge, 74-67. 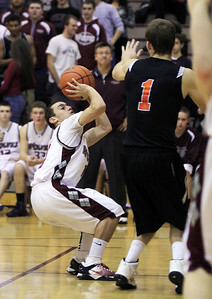 Prairie Ridge's Jack Berg (left) guards Crystal Lake Central's Corban Murphy during the first quarter of Wednesday's game in Crystal Lake on December 5, 2012. 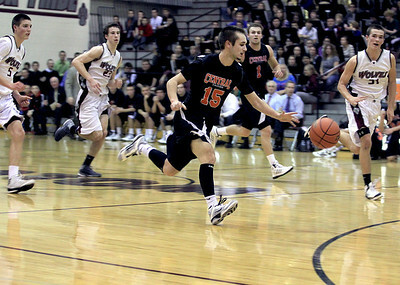 Crystal Lake Central defeated Prairie Ridge, 74-67.